Every year, the RBTH editorial team reviews the online analytics and reminds you what articles our audience read the most. This year is no exception, and we are happy to share our best stories with you again! 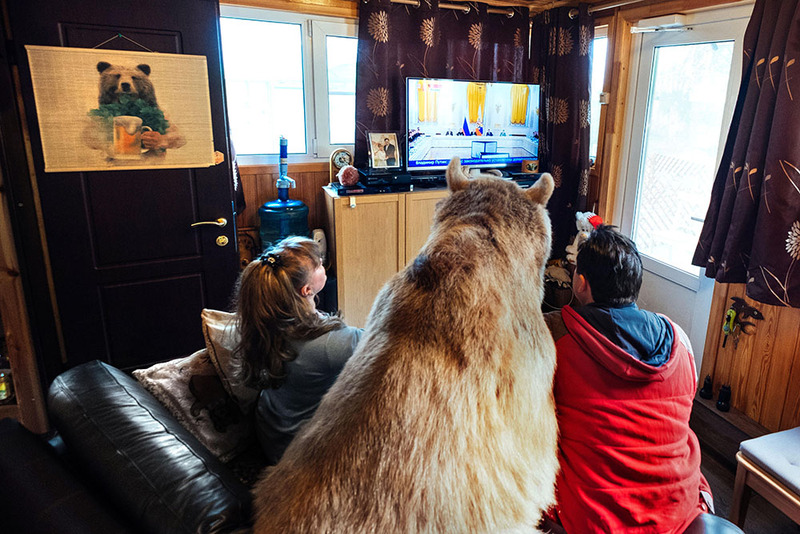 1) In 2016, most RBTH readers were drawn to an article about an ordinary Russian family that adopted a baby... bear. Mama and papa share their experience on how to raise and tame a bear - just an ordinary Russian thing! 2) The second most popular article was a story about an unexpected scientific discovery. While the current geopolitical situation is not very good and Russia-U.S. relations are cold, it appears that Siberians and Native Americans are relatives! An international group of geneticists has conclusively proven that the Aztecs, Incas, and Iroquois are closely related to the peoples of Altai, the Siberian region that borders China and Mongolia. 3) Karatel, Kolun, Toros... Do you know what do these words mean? The year 2016 showed us that RBTH readers like learning about military issues. "3 new Russian fighting machines that got the thumbs-up from Putin" was our third most popular article! 5) Our life hacks on how to easily learn Russian online was very popular - don't miss out, try to start (or improve) learning Russian this year! 6) Surprisingly, our very old article from 2012 gets lots of readers' attention every year! What do you think it is? You'll never guess! It's "Top 12 Russian sweets." Have you tried some of them? 7) Another article is even older, '12 most dangerous Russian animals,' from 2011, is always on the popular list. We have no explanation for it... Guys, are you really afraid of meeting a brown bear or an Amur tiger on the streets of Moscow or St. Petersburg? 8) We are going further and further back in time, to the year 2010, when RBTH published '12 Russian fashion rules.' And people seem to be really interested in them! Find out how to dress for the banya and if sandals are OK in Russia. 10) Many people still think that the Americans either stole Alaska from Russia or leased it and did not return it. Despite the widespread myths, it was an honest transaction, Russia sold the territory to the U.S., and both sides had valid reasons for making the deal. 11) We knew that everything we publish about Nicholas II, Russia's last tsar, and his family is really popular among our readers. But we've found another way to people's hearts, we shared Romanov family archive photos in color! By moving a special slider, you can compare the original black & white images with colorized ones, and see how the members of this tragic family come alive. Our multimedia team went even further and compiled a series of publications with archive photos colorized by Russian artist Olga Shirnina. 12) Before the Oscar ceremony, we imagined which roles could help Leonardo DiCaprio win the long-anticipated Academy Award. Gagarin, or maybe Rasputin? Smile with our collages. 13) We are really proud of our video story of how a 23-year-old Russian woman converted to Islam. She talks about the inspiration to join the religion, and what it is like to live in Moscow as a woman in a hijab. 14) The year 2017 will mark the 100th anniversary of the Bolshevik's October Revolution of 1917. We decided to refresh your memory about what happened before the Revolution, and shared a few archive photos of the tsar's palace in St. Petersburg before it was stormed by Bolsheviks and became the seat of temporary government of a new country. 15) This year especially for the London Book Fair we prepared an interactive guide of Russian walks in London. Every day you can see Russian things around you in London, and we invite you to explore them with us and our step-by-step guide, photo gallery and map. 16) We wanted to share once again an article that our readers liked most of all. It's a story about 90-year-old Mary Hobson, who started learning Russian when she was 56 to be able to read War and Peace in the original language. She completed her PhD at age 74, and even translated Alexander Pushkin's novel in verse Eugene Onegin. Read an interview with this extraordinary woman who says that learning Russian has given her a whole new life! And set your own goals for the year 2017!